One morning while living in a Sudan boarding school, Sarafino Enadio woke to the sounds of gunfire and soldiers marching. He wasn’t able to contact his family when he fled into the bush to avoid being captured – or worse. He eventually escaped on foot through the border of South Sudan, and spent his youth in a Kenya refugee camp. Sarafino has now found peace in Tasmania. When you contributed to our Madi Pozible campaign, you helped support the cost of sending our beautiful Madi children’s books to South Sudan so that the more peaceful memories of Sarafino’s childhood could be shared. The mission for this campaign was to bring colour and inspiration into the lives of schoolchildren in South Sudan, sending Sarafino and Terry Whitebeach over to deliver these precious children’s stories in Madi and English languages. 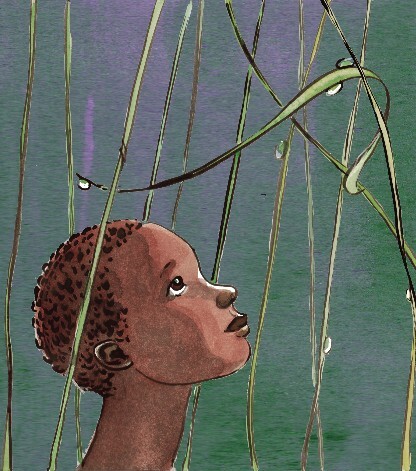 These books, When I was a Girl in Sudan and When I was a Boy in Sudan, tell stories of more peaceful times in Sudan, and feature illustrations by Gay McKinnon. They were developed with the assistance of the Madi community, Sarafino Enadio and Paskalina Eiyo, and Terry Whitebeach. With your help and contributions to this project, we’ve been working hard behind the scenes to find the best way to deliver the books safely. However, as many of you know, violence has recently broken out in this new Republic. We have to postpone our plans until peace has settled again. The Australian Government has issued advice not to travel to Sudan, with the country at high risk of violent civil unrest and terrorist attacks. We do not wish for any children to face the same risks Sarafino suffered during his childhood. This is why an initiative to support and inspire young children through pictures and words is so important. We will continue to monitor the situation and update you when we are in a position to set the Madi project back on track, at this stage looking toward 2017. But for now, we invite you to send your thoughts and best wishes to those in South Sudan. We sincerely hope its citizens are able to find some safety and peace during this time.